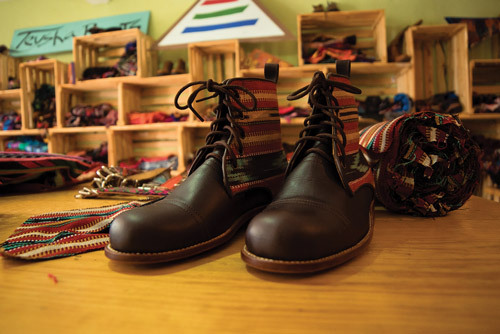 Pastores is the go-to place in Guatemala for handmade boots. Visiting Pastores to look for boots, I met with Alicia López, director of an English-language program for local kids. López and her students also offer free tours of the town, which has dozens of shops turning out handmade boots and leather goods. 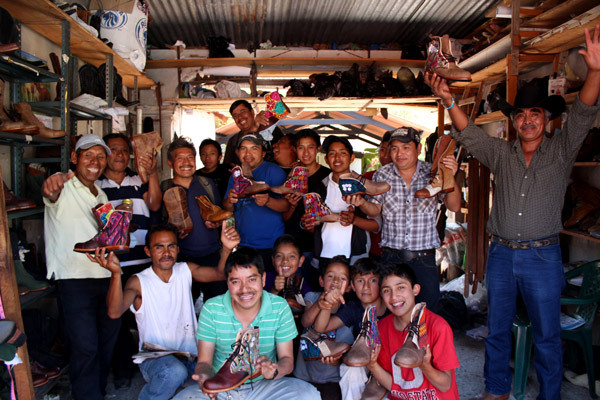 López’s English students have uncovered an extraordinary nugget in the story of how their town, population 3,700, became the go-to place in Guatemala for handmade boots. 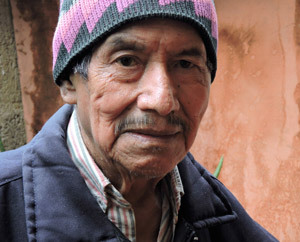 It is the story of Don Julio Acual 86, now retired. Back in the 1950’s, looking around at his friends and family, Acual decided the best thing he could do for his community was to learn how to make shoes. Pastores was farming country but no one owned decent shoes. 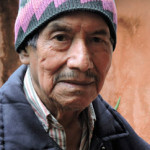 Acual walked the long road to and from La Antigua Guatemala each day to apprentice in the trade. 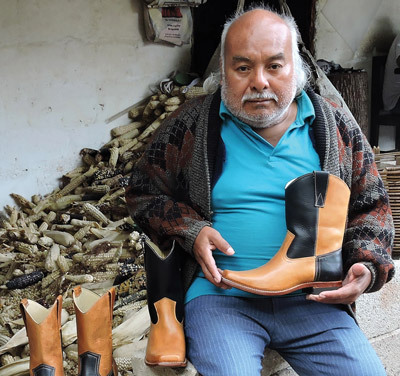 He became the first shoemaker in Pastores and 10 years later started making boots. 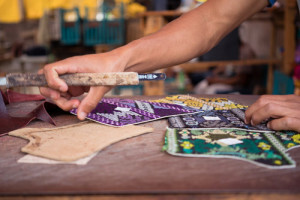 The most difficult part he says is making a new design in a place steeped in traditions. “I always hoped that people would like them and buy them,” muses Don Julio softly. Indeed they did. Pastores became known first for its cowboy boots. 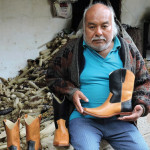 During the 1970s, Pantoleón Veras Sánchez 63, of Botas Veras was making upwards of 300 pairs a month. If you bought cowboy boots in the U.S. during that time, they may well have come from Pastores. 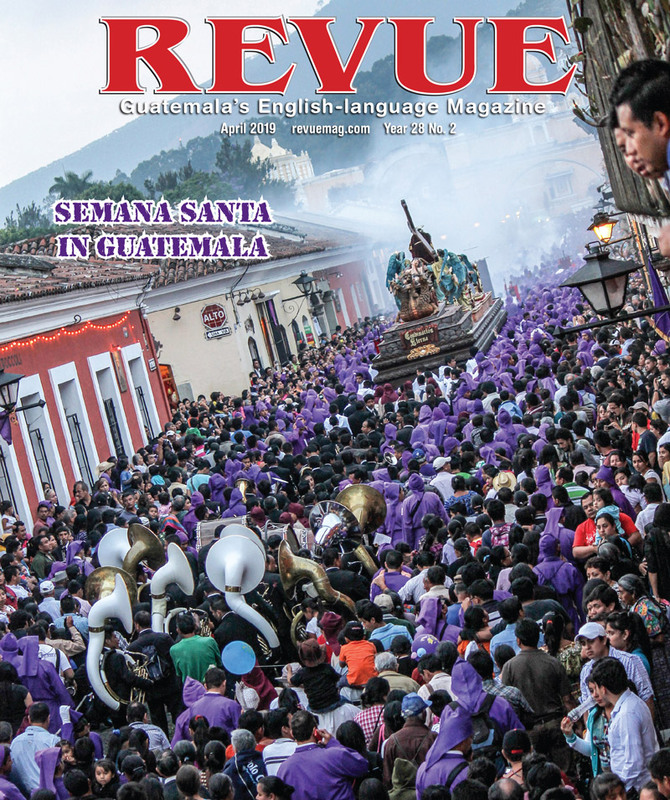 He recalls a unique advertising campaign conducted at an annual fall festival; it attracted vaqueros (cowboys) from all across the country, as well as musicians from El Salvador, Nicaragua and Mexico. “Here—take these boots and go home and tell all your friends that you got them in Pastores, Guatemala,” Sánchez recalls telling select patrons. The word spread and people started to come. In droves. 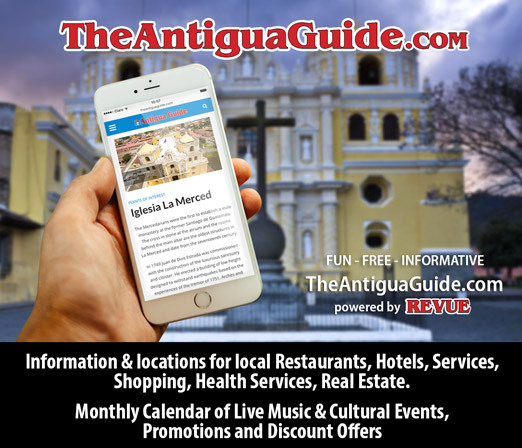 Pastores, once a sleepy little farming community, was on the map as the place for boots, now with 50 shops offering an array leather footwear for men, women, and children, as well as purses, belts and accessories. His sentiments are echoed by his contemporary, Julio Álvarez at Botas El Paso. The going price for a handmade pair of cowboy boots is Q300-400Q (about $40-$55) and up. 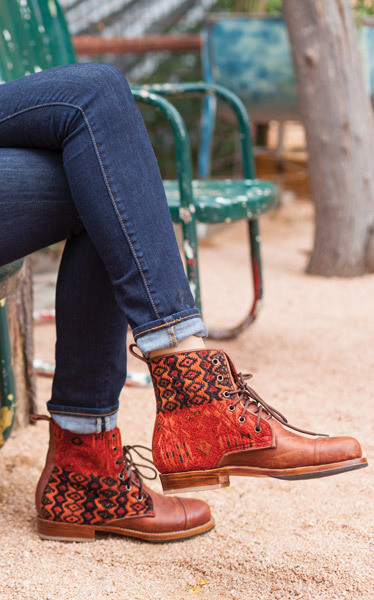 You can have your feet measured one day, choose the color, design and any embellishments, and in less than a week, you’ll have a handmade pair of boots that’ll dazzle your friends. 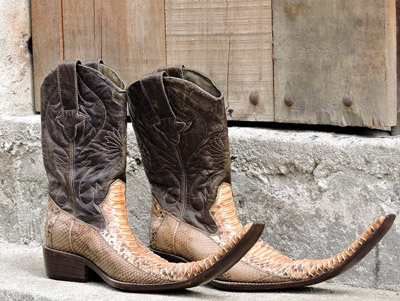 Every range of style can be found, including traditional cowboy boots, hiking boots, and extremely pointy boots favored by Mexican musicians and anyone looking for a solution to cockroaches in the corner. Boots like this will set you back a cool Q1,800 (about $240 USD), and Ranger Boots owner Pedro Garona says he’s sold a few. Across the street from Ranger Boots is Botas Rodeo, where, like many of the shops in town, you can see the boots being made by hand. Owner Rocal Alvarez sells a more contemporary style incorporating the traditional huipile designs of the country. It’s an idea that’s proven successful for Teysha Boots, which primarily does online business. Shoppers visit www.teysha.is to choose style, color and size. I’m walking back into town after chatting with Acual at his home, just outside of Pastores. This must have been the same path he took all those years ago back in the ‘50s to learn how to make shoes in Antigua. Yoselin, my 18-year-old student guide, translator and new friend, is glowing as she leads the way. This town, these boots and this venerable shoemaker are her history. 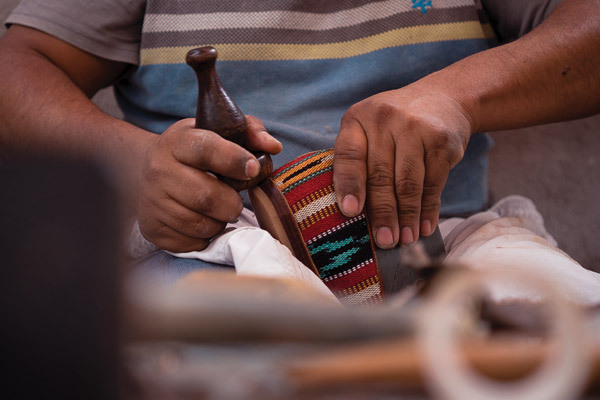 If you’re unable to make it to Pastores you can also find finely-crafted leather boots at Armonia-Harmony, they’ll even custom-make a pair for you in 3-4 days. The shop is located at 5a calle poniente #4-C, a half block from Central Park, La Antigua.